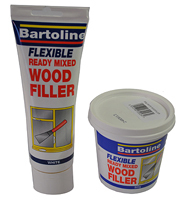 Bartoline exterior filler is a ready-to-use product suitable for both exterior applications. 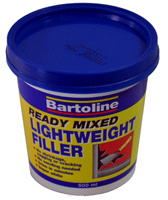 Ideal for repairs to all stonework, timber and plaster. Simple to use, dries white and may be sanded when dry, although this is usually unnecessary as the product is very smooth. There is no need to build layers and one application is usually sufficient. Available in both brown and white shades.